Boot care is the most important regime when you are carrying leather shoes. Excessive use of leather shoes without proper maintenance may wither them faster. The shoes and boots are an expensive product that requires regular maintenance. 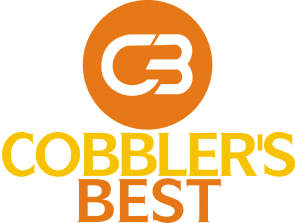 The best shoe polish and cleaners available on the market make your work easier and aids in maintaining the longevity of your leather shoes. If you love your leather shoes, then Saphir Creem Surfing is the best product to keep the shine intact. The crème surfine takes care of your shoes and make them burnished. Whether you are using it on office shoes or any other leather shoes, this shoe product is one of the best shoe polish on the market today. Made of natural beeswax to keep the shine intact. The best way to use the shoe polish is by using an applicator brush. The formula renovates the color of shoes. There are 12 unique colors to choose from. Saphir crème is made exclusively in France. The Saphir crème gives a waterproof finish to your shoes. Made of natural waxes that do not spoil the texture of shoes. Gives conditioning to your shoes. You need a polish applicator brush for applying the cream. 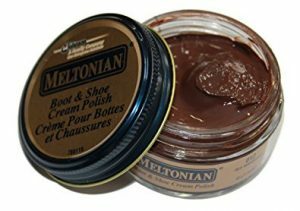 The Meltonian cream polish is a cobbler’s best choice among the wide range of shoe creams available in the market. The product has rich and creamy texture. Made of natural wax and contains color pigments. The polish comes in varied color options. The polish glides easily without getting hard. Covers the withered and cracked areas of the shoe. Varied color options are available for any color shoes. Some color tones are not perfect. Sometimes the polish cans are found mislabeled that creates confusion among the consumers. 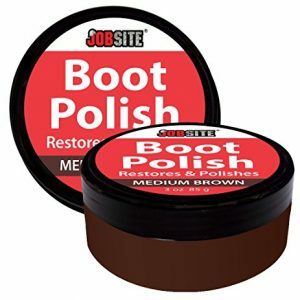 This Jobsite Premium shoe polish cream is high quality shoe product for leather that not only gives shine but also makes your shoes smell new! Contains lanolin and mink oil that works as a conditioner for the shoes. Conceals the shoes and makes them soft and supple like before. Makes the shoes smell like new ones. Ideal for polishing vinyl, furniture, and car interiors as well. The polish comes with a new leather scent. Thus, when you polish the furniture and vinyl, you will get the scent all around you. This is quite off-putting. Choosing the best shoe polish is quite a tough job. However, boot care is mandatory to increase the lifespan of the leather shoes.